Exciting news Orchard Books has acquired two titles in the Max Helsing and the Thirteenth Curse series by Curtis Jobling. The series is about Max Helsing, the descendent of the original Van Helsing vampire-killer, as he battles modern-day monsters in between schoolwork and monster-slaying training. Homework by day… Monster-hunting by night. 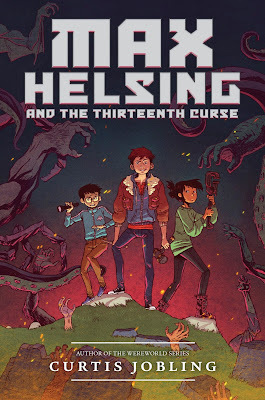 Descended from a long line of monster hunters, Max Helsing does a pretty good job of being an eighth grader by day and keeping his town safe from demons, ghouls, and the occasional mummy by night. That is, until he turns thirteen and discovers he’s been cursed by an ancient vampire who wants him dead – at any cost. To save the world – and his life – Max must rely on his wise-cracking best friend, cantankerous mentor, computer genius neighbor, and brand-new puppy. He’ll need all their help and more to break the Thirteenth Curse! Jobling is the British author of several books for children, including the Wereworld series (Puffin) and Frankenstein’s Cat (Hodder). He also designed the BBC’s children’s TV show Bob the Builder. Orchard is planning to publish summer 2016. Random House will publish in the US in November 2015. Cracking book cover by Jake Wyatt. 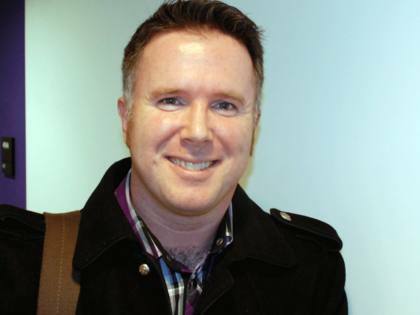 Curtis Jobling (www.curtisjobling.com and www.badablingthing.com) is the author of the acclaimed Wereworld series, published by Puffin. He’s also known for being the designer of the BAFTA-winning BBC show Bob the Builder. 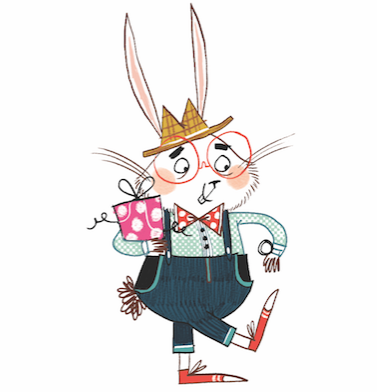 Curtis is based in Cheshire and visits up to 90 schools a year promoting his books – as well as being a regular on the festival circuit, speaking at Hay, Bath and Edinburgh. He is very active on Twitter (2.6K followers) and Facebook.